Guess what? I also joined the Daring Bakers! 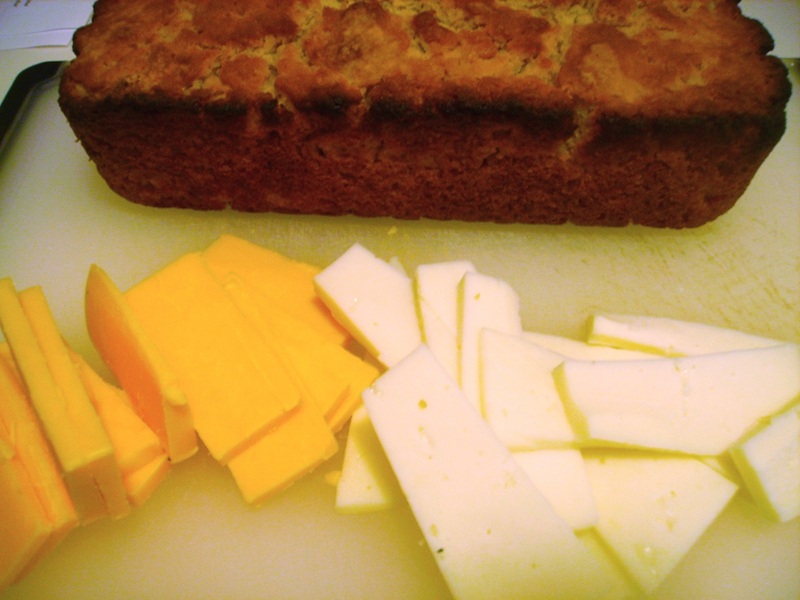 The challenge for the Daring Bakers this month was quickbread, which, as the name suggests, was quick. 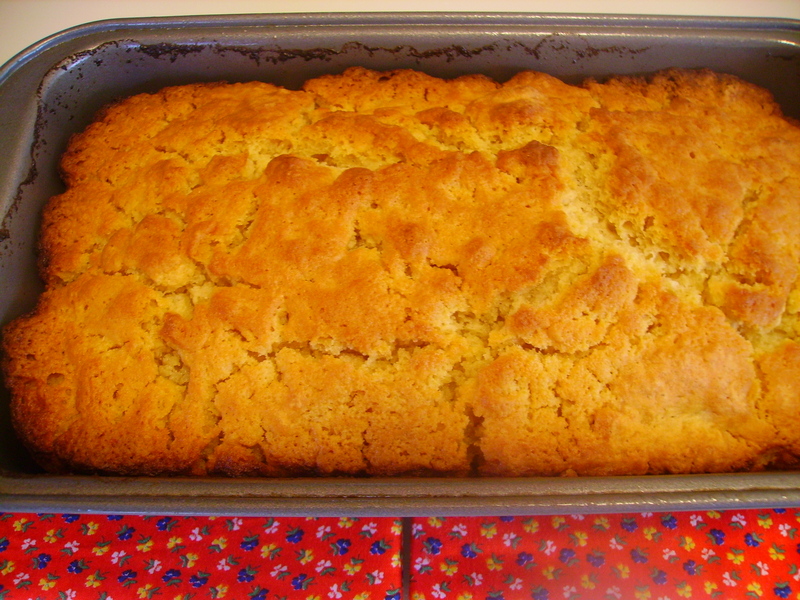 Also, it allowed me to make something I’ve been planning for quite some time: beer bread! The first time I ever had beer bread was at one of those sales parties that people who don’t like you very much drag you into (oops, please don’t be insulted if you host Tupperware or Mary Kay parties!). 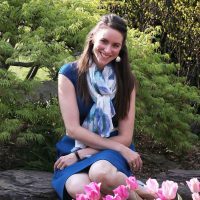 In this case, it was a horrible roommate who was hosting a party to sell clothing that was old lady-ish and about four times more expensive than anything I normally purchased. I felt super awkward knowing that I wasn’t going to purchase anything, so I hid behind party snacks. Namely beer bread. Yum! Lightly slathered with a bit of butter or coated with a tasty dip, beer bread is a simple snack with a complex flavor. After a few years of making this bread for myself, I discovered a recipe for grilled cheese using beer bread. Holy moly, what could be better!? You, of course, can serve your beer bread however you like. But if you like your taste buds, then you should treat them to grilled beer and cheese at least once. 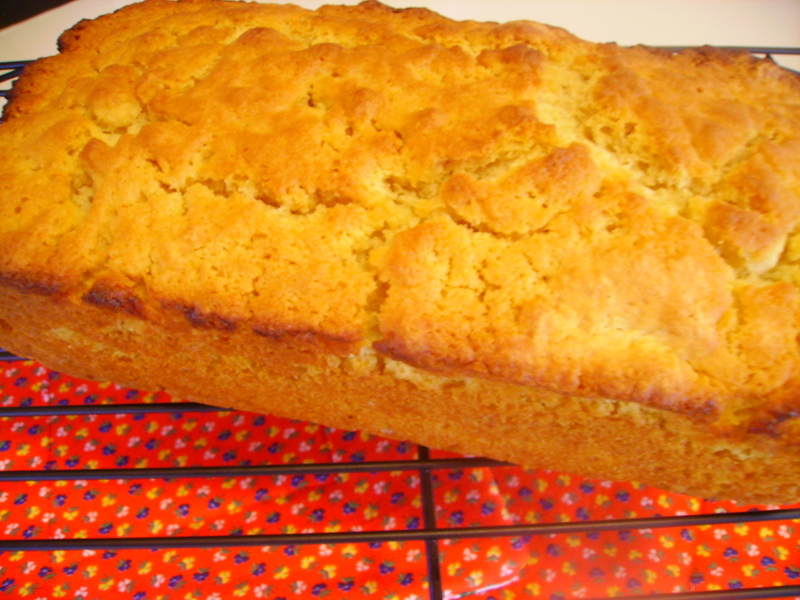 Beer bread is a great, savory quickbread, slighty sour like beer but sweet from the sugar and yeast. It has only 6 ingredients. No eggs! And it takes about 4 minutes to put together and shove in the oven. 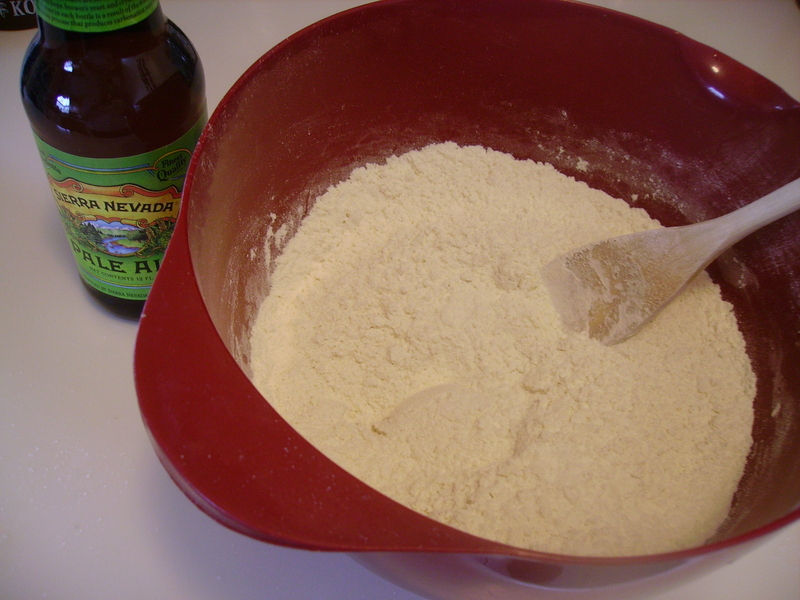 Combine sifted flour, baking powder, salt, and sugar in a bowl. Stir in the beer. It will immediately react with the baking powder and foam up like crazy. As with any quickbread, don’t overmix it! The batter should be pretty lumpy. You can use whatever beer you want; not being a big beer drinker myself, I used what we had leftover from a party a few months ago…I do recommend going for a milder flavored variety though, otherwise the bread will end up tasting sour and heavy. 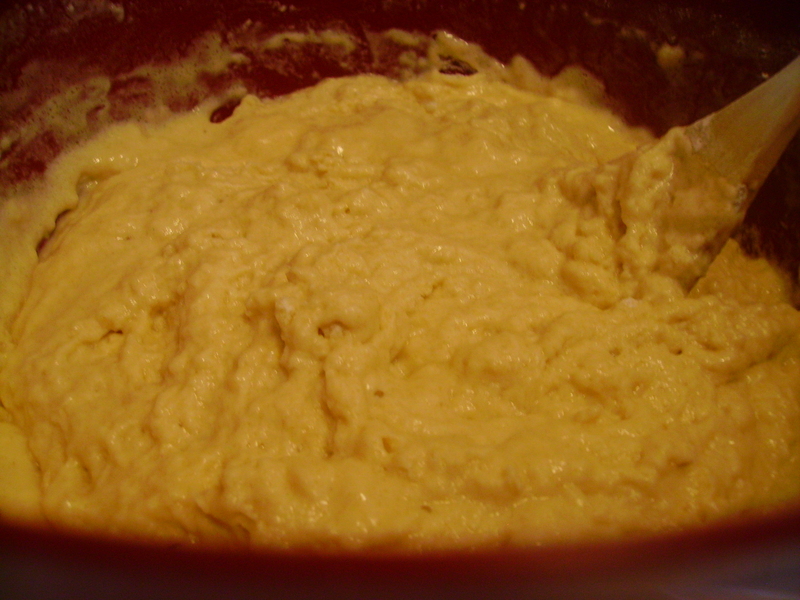 Scoop the lumpy batter into a greased loaf pan. Pour melted butter over top. Place the oven into a cold oven and turn the heat to 375°. Bake for 1 hour. Let the bread cool slightly and then remove it from the loaf pan to finish cooling. Thinly slice half of an onion into half-moons. Sauté the onion over medium heat until translucent. Add in the Worcester sauce, fresh oregano, salt, and pepper. Continue to sauté for another 10 minutes to caramelize the onions. Meanwhile, thinly slice the beer bread. It will probably be kind of crumbly, so try not to handle it too much. Each slice should be between ¼ʺ and ½ʺ. Spread the sliced bread with Dijon mustard. I prefer the really spicy kind, but that’s up to you. Actually, you could leave out the mustard if you want, but in our house we are huge fans of Dijon. The more the merrier. 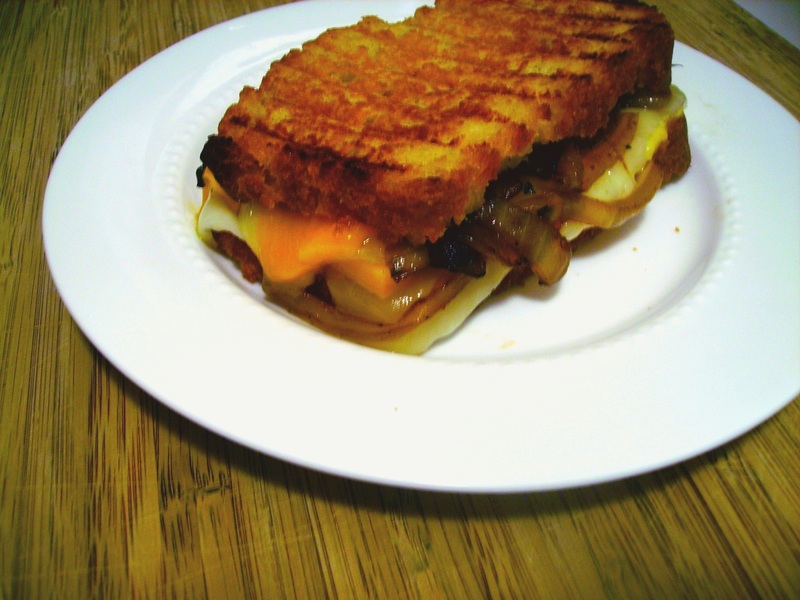 Top with very thinly sliced cheese (you really do want to slice it thinly, because cheddar has a high melting point) and caramelized onions. Lay the second slice of bread on top of the onions. Ready to grill! I like to use a panini press to grill these sandwiches because it helps compensate for the crumbliness of the beer bread. When I try to grill this sandwich in a pan, ultimately it tends to fall apart whenever I try to flip it…thus, a panini press or anything like it works best. Yum! In my house, grilled cheese is always accompanied by a mug of steaming tomato soup. I highly recommend it. Thoroughly mix together dry ingredients. 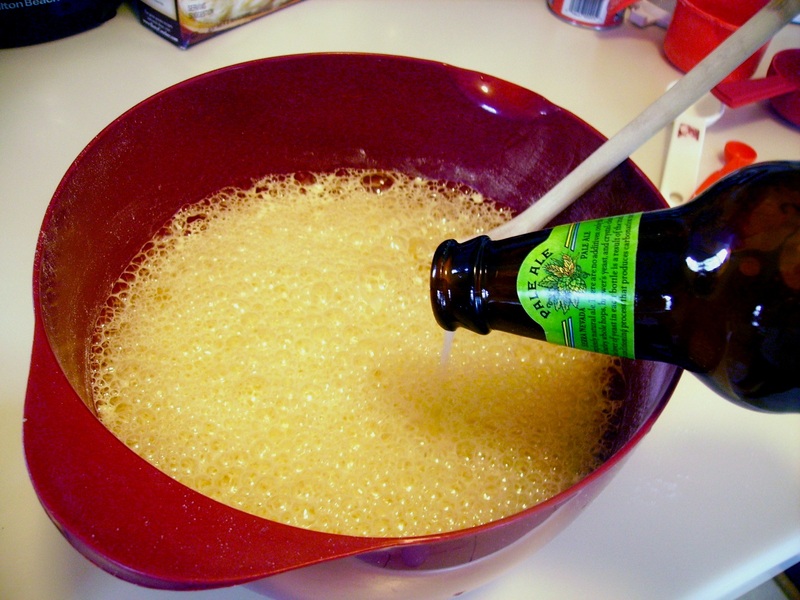 Stir in beer. 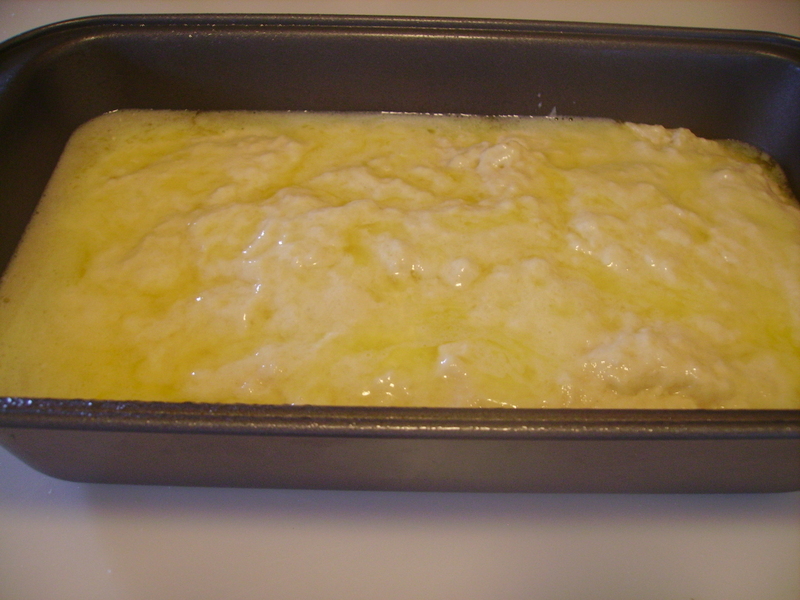 Pouring dough into a greased loaf pan, then top with melted butter to give the bread a nice crunch. Bake 1 hour at 375°. Do not preheat oven. 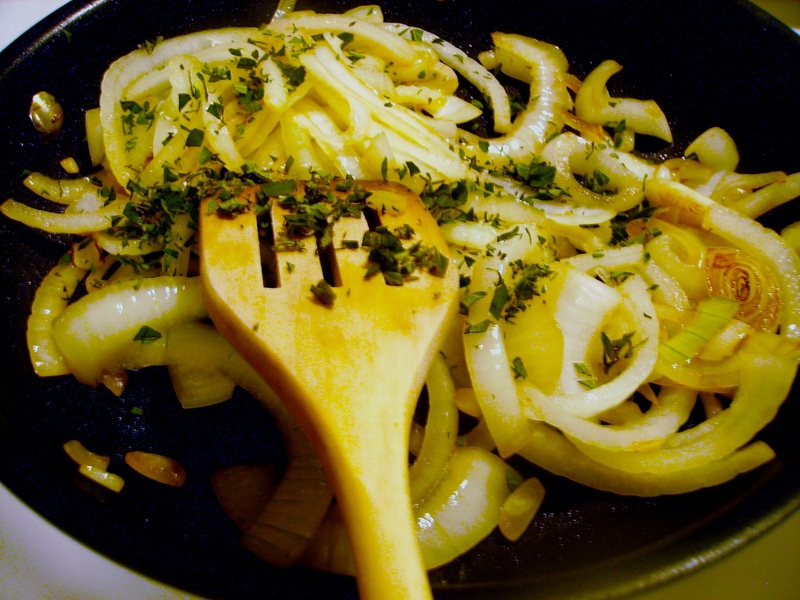 Combine onion and oil in a sauté pan over medium-high heat. Stir to evenly coat. Sauté onions until they begin to become translucent, then add the oregano and Worcestershire sauce. Season to taste. Reduce heat to medium-low and cover the pan. Cook covered until onions caramelize, about 10 minutes. Meanwhile, spread two slices of beer bread with Dijon mustard, if desired. Layer cheese on top. 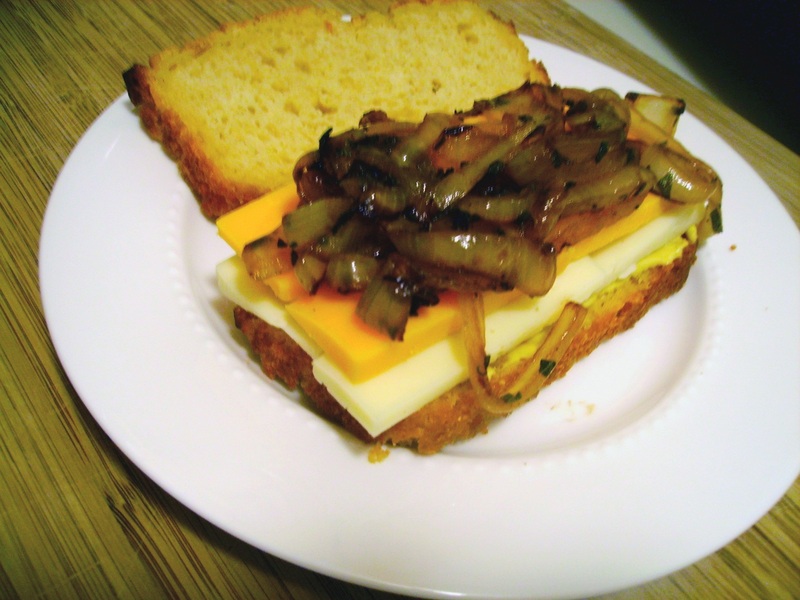 When the onions are ready, divide in half and pile atop the cheese. Finish off each sandwich with another slice of beer bread. Carefully set the sandwiches into a lightly oiled panini press. Grill for about 5 minutes, until cheese becomes melty. 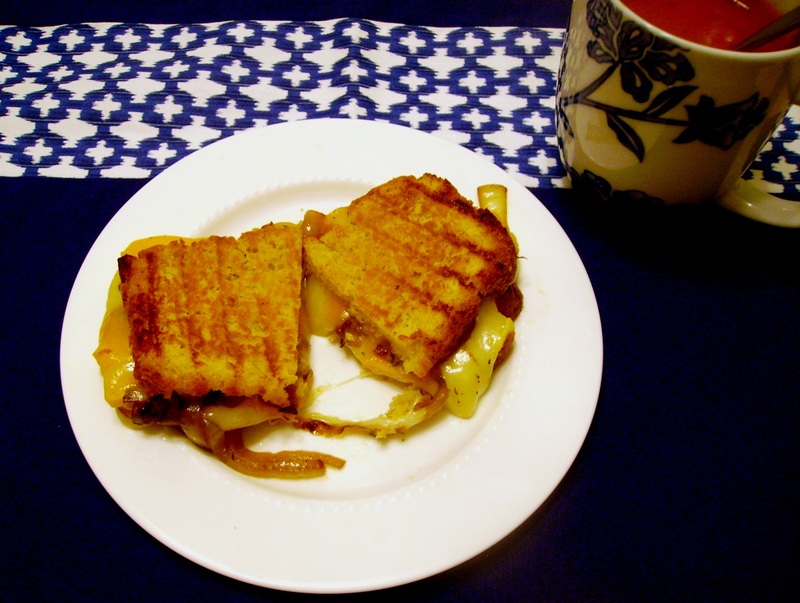 Come on over and see who made your wonderful grilled cheese!